For more details on BGL tokens, see below, read our white paper and feel free to connect with us on social media. At the center of our ecosystem, there are two programs - the buglab contest and Vigilante Protocol, helping companies all over the world to discover and fix vulnerabilities on their digital solutions or assets. Buglab links clients with a global network of certified cybersecurity penetration testers in an incentivized environment. The testers are rewarded based on their cumulative discoveries in time-limit competitions. With this, buglab provides an avenue for whitehats to share their own vulnerability discoveries. We then work with CERTs all over the world to verify those discoveries and notify companies at risk. Small and medium businesses, from all over the world looking for a more attainable and effective way of protecting their digital assets. Computer Security Incident Response Teams, will be able to partner with buglab on building a sustainable vulnerability prevention system to help companies. Buglab’s platform is built for global network of expert security researchers looking for a trusted way to help businesses worldwide and be compensated. Whether it’s the billable hours model in pentesting, or the pay-per-vulnerability structure of bounties, companies do not get the most of out of their spending. Cybersecurity firms typically assign just a few pentesters to each assignment, which limits the skillsets being leveraged. During bug bounties, researchers uncover large amounts of vulnerabilities without in-depth analysis, adding little value to the clients. This diagram depicts plans for the token distribution. These values highlight the various functions the token will serve. 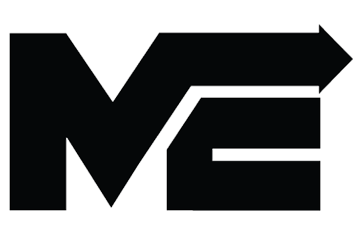 They include the sale itself, the buglab Vigilante Protocol Reserve (VPR), which is funded in a continuous manner by systematically acquiring ten percent of contests, and product development. Contributions for the BGL Token Distribution Event are accepted in the following cryptocurrency. See below for the major milestones that we have reached, and continue to work towards. We are united by our mission to help companies protect their digital solutions. Having started at the young age of 16, Reda is a veteran in the field of cybersecurity. Companies that he has helped ranges from banks to electronics manufacturers. Alexander is a developer with broad experience ranging from banking to pharmaceuticals. Living and breathing code for more than 15 years, he enjoys building highly performant and resilient backends. In addition to speaking Arabic, French and English, Youness is also fluent in the script languages of HTML, CSS and PHP. Nowadays, he is focused on building a blockchain ecosystem to reshape pentesting. Azdine is a seasoned software designer with experience in the field of insurance, legal and notary. Fascinated by the potential of blockchain technologies, he is now helping buglab build its own platform. Konstantin is a seasoned frontend developer familiar with all the latest technologies and best practices. His drive and perfectionism ensure that our platform has the best possible interface. With years of UI design experience, Amine is passionate about building a platform to enable the best possible user-product interaction. Dalal is a marketing veteran with over 11 years in global marketing groups such as TBWA and Ogilvy. She is a creative storyteller that finds new ways to engage with key stakeholders. With over 28 years of experience, Herve is considered a pioneer for France’s IT security industry. He currently heads his own firm, HSC, which was acquired by Deloitte France in 2014. Board director at the IDACB (International Decentralized Association of Cryptocurrency and Blockchain), President and founder of the Nordic IT Association, a 2x Nominated Deloitte entrepreneur of the year. CEO of Anthill Ventures, cybersecurity firm. Regent of University of Hawaii. Board director of Heyou Media and Creative Intelligence Associates- Tokyo. Former Senior Partner, Deloitte Touche Consulting. We continue to look for the best talents, so get in touch with us at contact@buglab.io and watch this space for new announcements! We are proud to be working with these organizations, and continue to look for valuable partners. Watch this space and follow us for the latest development of our project. 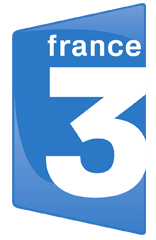 Buglab Founder Reda Cherqaoui invited to share his cybersecurity insights on France 3, one of the country’s biggest TV network. Buglab attending the welcoming ceremony for French Tech Ticket, with former president Francois Hollande as guest of honor. Buglab’s development and potential gaining media exposure. 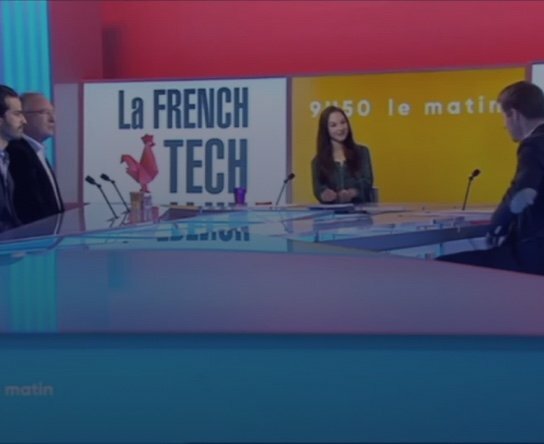 Buglab being featured as one of the most highly anticipated tech startup in France. Thank you for your interest. Sign up for our email newsletter and we'll make sure you hear about our latest updates. PLEASE READ THESE TERMS AND CONDITIONS ("T&Cs") CAREFULLY. BY MAKING A CONTRIBUTION TO BUGLAB LIMITED FOR THE PURCHASE OF BGL TOKENS ("BGL") DURING THE TOKEN SALE, YOU WILL BE BOUND BY THESE T&Cs AND ALL TERMS INCORPORATED HEREIN BY REFERENCE. BY ACCEPTING THESE T&Cs, YOU WILL BE ENTERING INTO A BINDING AGREEMENT WITH BUGLAB LIMITED. THESE T&Cs CONTAIN PROVISIONS WHICH AFFECT YOUR LEGAL RIGHTS. NOTE THAT CLAUSE 20 CONTAINS A BINDING ARBITRATION CLAUSE. IF YOU DO NOT AGREE TO THESE T&Cs, DO NOT MAKE A CONTRIBUTION FOR THE PURCHASE OF BGL AND NAVIGATE AWAY FROM THE BUGLAB WEBSITE (AS DEFINED BELOW). Due to legal and regulatory uncertainty in the United States of America and China, citizens, residents and/or green card holders of and persons residing in the United States of America or China are prohibited from making contributions to Buglab Limited and participating in the Token Sale. Persons from the United States of America or China that participate in the Token Sale by providing false or inaccurate information about their citizenship, residency and/or nationality shall be in breach of these T&Cs and shall be required to indemnify Buglab Limited in respect of any damages and/or losses suffered due to this breach in accordance with the indemnification provisions set out in these T&Cs. Buglab Limited is a company incorporated and registered in Gibraltar with registration number 116765 and shall be the creator of its own proprietary token known as BGL under these T&Cs. There may be other entities within the Buglab Limited group of companies from time to time ("Buglab Companies") that will develop, manage and/or operate the Buglab Platform (as defined in clause 1 below) (or parts thereof) and references in these T&Cs to "Buglab", "Company", "we", "our" or "us" shall be to Buglab Limited, the Buglab Companies and their respective successors and assigns. References in these T&Cs to "Contributor", "your" or "you" are to the person/entity who accepts these T&Cs and agrees to make a contribution to Buglab as set out in and on the terms of these T&Cs. You and Buglab shall together be referred to as the "Parties" and references to a "Party" shall be to the relevant one of them as the context requires. 1.1 Buglab is in the process of developing a decentralized platform using the Ethereum blockchain with the aim of assisting companies to identify and mitigate cybersecurity gaps, by creating solutions which will detect and remedy vulnerabilities on various business applications, websites, mobile applications and smart contracts (the “Buglab Platform”). 1.2 Buglab is further proposing to develop a decentralized protocol with cryptographic tokens known as BGL which are intended to have certain functionalities on the Buglab Platform (as more particularly described in Schedule 1 of these T&Cs), and is seeking to raise funds through a reward based crowdfunding campaign (the “Token Sale”) which it will deploy on the development of the Buglab Platform and to meet various other operating expenses related to Buglab’s business. c) the Buglab Token Sale overview document (a copy of which can be found at https://buglab.io/assets/docs/Buglab_TDE.pdf. 1.4 The information contained in the Project Documentation is of descriptive nature only, is not binding and does not form part of these T&Cs. 2.2 Any potential future use of BGL in connection with the provision or receipt of services on the Buglab Platform shall be subject to and governed by such other applicable terms, conditions and policies relating to the use of the Buglab Platform ("Platform Terms"). Such Platform Terms will be made available to Buglab Platform users, if the Buglab Platform is successfully developed and deployed. ii) on 11 September 2018 at 7AM GMT. 4.1 During the Contribution Period, the price per BGL shall be denominated US dollars (“USD”), and 1 BGL shall be the equivalent of $0.15 USD. 4.2 Contributions shall be made exclusively in Ether (“ETH”), and in order to calculate the number of BGL that will be issued to the Contributor, the conversion shall be calculated by reference to the value that the ETH has against the USD according to CoinMarketCap (https://coinmarketcap.com) 24 hours before the First Contribution Period, which for the avoidance of doubt shall be on 29 June 2018 (the “Conversion”). Buglab shall not be responsible or liable for any losses which may be suffered by the Contributor as a result of the Conversion. 4.3 Contributions made during the First Contribution Period shall be subject to a minimum contribution amount. The minimum contribution amount shall be the equivalent of $3,500, payable in ETH, and shall be calculated in accordance with the Conversion (the “Minimum Presale Amount”). 4.4 Contributions made during the Second Contribution Period shall be subject to a maximum contribution amount. The maximum contribution amount shall be equal to the Minimum Presale Amount. e) contributions made during the third week of the Second Contribution Period (“Fifth Bonus Period”) will result in the contributor receiving a 0% bonus in the number of BGL. b) determine that it is necessary to obtain certain other information about you in order to comply with applicable laws and regulations in connection with the creation and issue of BGL to you. b) ensure, to our satisfaction, that we have complied with all applicable laws and regulations in connection with the creation and issue of BGL to you as contemplated by these T&Cs. 5.3 You acknowledge and accept that we may refuse or reject any contributions for the purchase of BGL until you provide all information and documentation that we may request under this clause 5 and we have determined that it is permissible to create and issue BGL to you under applicable law. 6.1 You may contribute to Buglab during the Token Sale in the manner described in this clause 6. 6.2 Contributions to be made in Ether (ETH) must be sent from an Ethereum wallet in respect of which you can identify your private key. Your private key shall be required to verify your ETH contribution to Buglab and to enable Buglab to issue BGL to you through the Smart Contract System (as further described in clause 7). 6.3. Contributions shall be sent exclusively to the Buglab wallet address specified on the Buglab website. To the extent that any third-party website, service or smart-contract offers to receive contributions and issue BGL or facilitates the allocation or transfer of BGL in any way during the Contribution Period, such third-party websites or services are, unless expressly set out in these T&Cs or mentioned on the Buglab website, not authorised by Buglab nor do they have any legal or commercial relationship in any way with Buglab, the Buglab Platform or BGL. risk losing their entire contribution and Buglab shall not be responsible or liable for recovering or returning any such contributions to the Contributor nor shall Buglab be responsible or liable for any losses incurred by the Contributor in this respect. 7.1 Buglab has deployed a smart contract system (the "Smart Contract System") on the Ethereum blockchain for the purposes of creating its own proprietary tokens, BGL, and issuing such BGL to the Contributor's Ethereum wallet. BGL shall be based on the ERC20 token standard and is intended to have the functionality set out in Schedule 1. 7.2 The issue of BGL shall be initiated by Buglab sending instructions to the Smart Contract System, which will trigger a smart contract operation whereby BGL shall be issued to the Contributor’s ERC20 compatible wallet or to such other cryptocurrency wallet compatible with the ERC20 token standard that the Contributor notifies Buglab in accordance with clause 7.4. 7.3 Buglab shall keep a record of all contributions received by the Contributor’s wallets, including details of the time the contribution was received, the amount of the contribution, the Conversion applicable to the contribution and the wallet address from which the contribution was sent ("Contribution Records"). 7.4 In order to receive BGL, the Contributor must have, and send a notice to Buglab containing the address of, an Ethereum wallet that supports the ERC20 token standard. In other words, the Contributor's Ethereum wallet must possess technical infrastructure that is compatible with the receipt, storage and transfer of BGL, being tokens that are created based on the ERC20 token standard. Buglab reserves the right to prescribe additional conditions relating to the specific wallet requirements at any time acting in its sole and absolute discretion. 7.5 Following the conclusion of the Contribution Period, we shall undertake a contribution verification procedure based on the Contribution Records and other information that we may request pursuant to clause 5 above. Provided Buglab is successfully able to verify your contribution, we shall send instructions to the Smart Contract System to initiate the creation and issue of BGL to the Ethereum wallet address which you send us notice of pursuant to clause 7.4. 7.6 Subject to compliance with the foregoing provisions of clauses 5, 6 and 7 above, delivery of BGL to shall be made right after the contribution for Second Contribution Period participants and on the first day of Second Contribution Period for the First Contribution Period participants, following receipt by the Smart Contract System of your contribution (subject to ordinary Ethereum blockchain waiting periods which should not exceed 72 hours and subject to the risks outlined in these T&Cs), by sending BGL to the Ethereum wallet address which you send us notice of pursuant to clause 7.4. 7.7 On receipt of your contribution, such contribution shall immediately become the sole and exclusive property of Buglab who shall be entitled to apply the contribution towards the development of the Buglab Platform and other operating expenses relating to our business. The application of your contribution shall be determined by us acting in our sole and absolute discretion and we shall be under no obligation to inform you or otherwise verify how your contribution is used. 8.1 Buglab reserves the right to refuse or reject any contributions made at any time in our sole and absolute discretion. To the extent that we refuse or reject a contribution, we will exercise reasonable endeavors to procure that the contribution is returned to the Contributor, however, we do not warrant, represent or offer any assurances that we will successfully be able to recover and/or return any such contributions. 8.2 Subject to clauses 8.1 and except to the extent required by applicable law, all contributions received by Buglab under these T&Cs are final and Contributors shall not be entitled to claim any refund or reimbursement of contributions from Buglab. 8.3 At any time prior to satisfaction of the Completion Conditions, Buglab may either temporarily suspend or permanently abort the Token Sale for security reasons. 8.4 During any period of suspension or in the event that the Contribution Period is aborted, we shall not be able to receive and accept contributions, create BGL and/or issue BGL to Contributors. Contributors who send us contributions risk losing their entire contribution and we shall not be responsible or liable for recovering or returning any such contributions to the Contributor nor shall we be responsible or liable for any losses incurred by the Contributor in this respect. b) the same amount of ETH that was contributed is returned to the Contributor (less any applicable mining fees and other administrative expenses incurred by us in returning the contribution to the Contributor). 9.1 Ownership of BGL carries no rights, whether express or implied, other than a limited potential future right or expectation to use and interact with the Buglab Platform (as further described in Schedule 1), if and to the extent the Buglab Platform is successfully developed and deployed. Any potential future right or expectation relating to the provision and receipt of services on the Buglab Platform shall be subject to any restrictions and limitations set out in these T&Cs and/or the Platform Terms (as applicable). 9.3 Protections offered by applicable law in relation to the acquisition, storage, sale and/or transfer of the instruments and/or investments referred to in clause 9.2 shall not apply to any contribution made under these T&Cs for the acquisition of BGL or to your storage, sale and/or transfer of BGL. 9.4 Buglab makes no warranties or representations and offers no assurances (in each case whether express or implied) that BGL shall confer any actual and/or exercisable rights of use, functionality, features, purpose or attributes in connection with the Buglab Platform. z) all of the above representations and warranties are true, complete, accurate and non-misleading from the time of your access to and/or acceptance of possession of these T&Cs. You acknowledge and agree that sending a contribution to Buglab, the creation and issue of BGL and the development and deployment of the Buglab Platform carries significant financial, regulatory and reputational risks, including but not limited to those set out in Schedule 2 of these T&Cs. BY MAKING A CONTRIBUTION TO BUGLAB AND ACCEPTING THESE T&Cs YOU EXPRESSLY ACKNOWLEDGE, ACCEPT AND ASSUME THE RISKS SET OUT IN SCHEDULE 2. 12.1 Buglab shall exercise reasonable endeavors to procure that the Smart Contract System is audited and approved by technical experts with regard to both accuracy and security of the underlying code. 12.2 Notwithstanding clause 12.1, smart contract technology is still in an early stage of development and its application is currently of an experimental nature, which carries significant operational, technological, financial, regulatory and reputational risks. Accordingly, while any audit conducted shall raise the level of security and accuracy of the Smart Contract System, you acknowledge, understand and accept that the audit does not amount to any form of warranty, representation or assurance (in each case whether express or implied) that the Smart Contract System and BGL are fit for a particular purpose or that they are free from any defects, weaknesses, vulnerabilities, viruses or bugs which could cause, inter alia, the complete loss of your contribution and/or BGL. You are responsible for implementing all reasonable and appropriate measures for securing the wallet, vault or other storage mechanism you use to send a contribution to Buglab and to receive and store BGL that are issued to you by the Smart Contract System, including any requisite private key(s) or other credentials necessary to access such storage mechanism(s). If your private key(s) or other access credentials are lost, you may lose access to your BGL. Buglab shall not be responsible for any security measures relating to your receipt, possession, storage, transfer or potential future use of BGL nor shall we be under any obligation to recover or return any BGL and we hereby exclude (to the fullest extent permitted under applicable law) any and all liability for any security breaches or other acts or omissions which result in your loss of (including your loss of access to) BGL issued to you during the Token Sale. c) use, attempt to use, copy, imitate or modify (whether in whole or in part) any Buglab IP Rights, except with our prior written consent. 15.2 Buglab reserves the right to exercise sole control over the defence, at your sole cost and expense, of any claim subject to an indemnity set out in clause 15.1. 15.3 The indemnity set out in this clause 15 is in addition to, and not in lieu of, any other remedies that may be available to Buglab under applicable law. c) we cannot and do not represent or warrant that BGL or the delivery mechanism for BGL are free of viruses or other harmful components. 16.2 Neither these T&Cs nor the Project Documentation constitute a prospectus or offering document, and are not an offer to sell, nor the solicitation of an offer to buy any investment or financial instrument in any jurisdiction. BGL should not be acquired for speculative or investment purposes with the expectation of making a profit on immediate re-sale. 16.3No regulatory authority has examined or approved any of the information set out in these T&Cs and/or the Project Documentation. No such action has been or will be taken under the laws, regulatory requirements or rules of any jurisdiction. The publication, distribution or dissemination of these T&Cs and/or the Project Documentation does not imply that applicable laws, regulatory requirements or rules have been complied with. the aggregate liability of Buglab and the Buglab Parties (jointly), whether in contract, tort (including negligence), breach of statutory duty, restitution or any other legal or equitable basis, arising out of or relating to these T&Cs or the use of or inability to use BGL, exceed the amount of your contribution. 17.2 The limitations and exclusions of liability set out in clause 17.1 shall not limit or exclude liability for the gross negligence, fraud or intentional, wilful or reckless misconduct of Buglab, nor shall it limit or exclude any losses for which, as a matter of applicable law, it would be unlawful to limit or exclude liability. 18.1 You are solely responsible for determining whether your contribution to Buglab for the development of the Buglab Platform, the creation, ownership, use, sale, transfer or liquidation of BGL, the potential appreciation or depreciation in the value of BGL over time (if any), the allocation of BGL and/or any other action or transaction contemplated by these T&Cs or related to the Buglab Platform will give rise to any tax implications on your part. 18.2 You are also solely responsible for withholding, collecting, reporting, paying, settling and/or remitting any and all taxes to the appropriate tax authorities in such jurisdiction(s) in which you may be liable to pay tax. Buglab shall not be responsible for withholding, collecting, reporting, paying, settling and/or remitting any taxes (including, but not limited to, any income, capital gains, sales, value added or similar tax) which may arise from your contribution and acquisition of BGL under or in connection with these T&Cs. 18.3 You agree not to hold Buglab or any of the Buglab Parties liable for any tax liability associated with or arising from the creation, ownership, use or liquidation of BGL or any other action or transaction related to the Buglab Platform or the Token Sale. 19.3 We will not disclose your Personal Data except as expressly permitted under these T&Cs and otherwise only with your prior consent. However, we may be required to disclose your Personal Data and/or certain other information about you to the extent required by applicable law or by an order of a court or competent governmental or regulatory authority. By accepting these T&Cs, you expressly agree and consent to your Personal Data being disclosed to third parties to any extent required for the purposes of compliance with applicable law. h) any other reasonable purposes in accordance with applicable law. 19.5 Under the Data Protection Act you have a right to access your Personal Data held by us, and it is your responsibility to inform us of any changes to your Personal Data to ensure such data remains accurate. You also have a right to object to your Personal Data being processed for the purposes of direct marketing. You agree to provide a written request to us should you wish to enforce these rights. 19.6 You agree that we may, for the purposes set out in clause 19.4, permit the transfer of your Personal Data to any jurisdiction, whether or not inside the European Economic Area, and that by accepting these T&Cs you authorise and expressly consent to the processing of your Personal Data by us, our agents and/or our service providers, provided that where your Personal Data is processed by entities other than us, our agents or our service providers, we shall seek your prior written consent in respect of such processing. 19.7 You acknowledge, accept and understand that these T&Cs, insofar as they relate to the controlling and processing of your Personal Data by Buglab, our agents and/or service providers, are only relevant to the processing of your Personal Data for the purposes set out in 19.4, In order to access the Buglab Platform and provide or receive services therein or otherwise use and interact with the Buglab Platform, you will be required to accept the Platform Terms which shall also set out the terms and conditions under which your Personal Data is collected, stored and processed (as well as your individual rights under applicable data protection laws) in connection with your use of the Buglab Platform. PLEASE READ THE FOLLOWING CLAUSE CAREFULLY BECAUSE IT CONTAINS CERTAIN PROVISIONS, SUCH AS A BINDING ARBITRATION CLAUSE AND CLASS ACTION WAIVER, WHICH AFFECT YOUR LEGAL RIGHTS. THIS CLAUSE REQUIRES YOU TO ARBITRATE CERTAIN DISPUTES AND CLAIMS WITH BUGLAB AND LIMITS THE MANNER IN WHICH YOU CAN SEEK RELIEF FROM US. 20.1 Binding Arbitration. Except for any disputes, claims, suits, actions, causes of action, demands or proceedings (collectively, "Disputes") in which either Party seeks injunctive or other equitable relief for the alleged unlawful use of intellectual property, including, without limitation, copyrights, trademarks, trade names, logos, trade secrets or patents, you and Buglab (i) waive your and Buglab’s respective rights to have any and all Disputes arising from or related to these T&Cs resolved in a court, and (ii) waive your and Buglab’s respective rights to a jury trial. Instead, you and Buglab will arbitrate Disputes through binding arbitration (which is the referral of a Dispute to one or more persons charged with reviewing the Dispute and making a final and binding determination to resolve it instead of having the Dispute decided by a judge or jury in court). 20.2 No Class Arbitrations, Class Actions or Representative Actions. Any Dispute arising out of or related to these T&Cs is personal to you and Buglab and will be resolved solely through individual arbitration and will not be brought as a class arbitration, class action or any other type of representative proceeding. There will be no class arbitration or arbitration in which an individual attempts to resolve a Dispute as a representative of another individual or group of individuals. Further, a Dispute cannot be brought as a class or other type of representative action, whether within or outside of arbitration, or on behalf of any other individual or group of individuals. 20.3 Arbitration Rules. Any dispute arising out of or in connection with this these T&Cs, including any question regarding its existence, validity or termination, shall be referred to and finally resolved by arbitration under the rules of the London Court of International Arbitration (“LCIA Rules”), which are available at http://www.lcia.org/Dispute_Resolution_Services/lcia-arbitration-rules-2014.aspx and are deemed to be incorporated by reference in this Section 20. By agreeing to be bound by these T&Cs, you either (i) acknowledge and agree that you have read and understood the LCIA Rules, or (ii) waive your opportunity to read the LCIA Rules and any claim that the LCIA Rules are unfair or should not apply for any reason. 20.4 Notice; Informal Dispute Resolution. Each Party will notify the other Party in writing of any Dispute within thirty (30) days of the date it arises, so that the Parties can attempt in good faith to resolve the Dispute informally. Notice to Buglab shall be sent by e-mail to contact@buglab.io Notice to you shall be sent to any address you provide to us in writing in a notice. Your notice must include (i) your name, postal address, email address and telephone number, (ii) a description in reasonable detail of the nature or basis of the Dispute, and (iii) the specific relief that you are seeking. If you and Buglab cannot agree how to resolve the Dispute within thirty (30) days after the date the notice is received by the applicable Party, then either you or Buglab may, as appropriate and in accordance with this clause 20, commence an arbitration proceeding or, to the extent specifically provided for in clause 20.1, file a claim in court. 20.5 Process. Any arbitration will occur in Gibraltar. The arbitration will be conducted confidentially by a single arbitrator appointed in accordance with the LCIA. The language to be used in the arbitral proceedings shall be in English. The courts located in Gibraltar will have exclusive jurisdiction over any appeals and the enforcement of an arbitration decision. 20.6 Authority of Arbitrator. These T&Cs, the applicable LCIA Rules and the arbitrator will have (i) the exclusive authority and jurisdiction to make all procedural and substantive decisions regarding a Dispute, including the determination of whether a Dispute is arbitrable, and (ii) the authority to grant any remedy that would otherwise be available in court, provided, however, that the arbitrator does not have the authority to conduct a class arbitration or a representative or class action, which is prohibited by these T&Cs. The arbitrator may only conduct an individual arbitration and may not consolidate more than one individual’s claims, preside over any type of class or representative proceeding or preside over any proceeding involving more than one individual. 20.7 Severability of Dispute Resolution and Arbitration Provisions. If any term, clause or provision of this clause 20 is held invalid or unenforceable, it will be so held to the minimum extent applicable and required by law, and all other terms, clauses and provisions of this clause 20 will remain valid and enforceable. Further, the waivers set forth in clause 20.2 above are severable from the other provisions of these T&Cs and will remain valid and enforceable, except as prohibited by applicable law. Neither Buglab, the Buglab Companies nor any of the Buglab Parties shall be liable or responsible to the Contributor, or be deemed to have breached these T&Cs, for any failure or delay in fulfilling or performing its obligations under these T&Cs, if and to the extent such failure or delay is caused by, results from or is otherwise connected to acts beyond its reasonable control, including, without limitation: (a) acts of God; (b) flood, fire, earthquake or explosion; (c) war, invasion, hostilities (whether war is declared or not), terrorist, hacking or cyber threats, attacks or acts, or other civil unrest; (d) any laws, statutes, ordinances, rules, regulations, judgments, injunctions, orders and decrees; or (e) action by any nation or government, state or other political subdivision thereof, any entity exercising legislative, regulatory, judicial or administrative functions of or pertaining to government, including, without limitation, any government authority, agency, department, board, commission or council. 22.1 The Contributor understands and accepts that the network of miners will ultimately be in control of the Smart Contract System and that a majority of these miners could agree at any point to make changes to the official Smart Contract System and to run a new version of the Smart Contract System. Such a scenario could lead to BGL losing intrinsic value. 22.2 The Contributor understands and accepts that Buglab may unilaterally amend these T&Cs from time to time, including but not limited to, where there are changes to the intended functionality of BGL, where it is required for conducting the Token Sale, and/or as may otherwise be required by any laws or regulatory requirements to which Buglab may or become subject. Buglab’s rights to unilaterally vary these T&Cs shall not apply to clause 4 of these T&Cs the variation of which shall not be effective absent the written consent of the Contributor. If we make any amendments to these T&Cs, we will publish a notice together with the updated T&Cs on our website and we will change the “Last Updated” date at the top of these T&Cs. Any amended T&Cs shall become effective immediately upon the publication of notice and updated T&Cs on our website. It is your responsibility to regularly check our website for any such notices and updated T&Cs. 22.3 If any term, clause or provision of these T&Cs is found to be illegal, void or unenforceable (in whole or in part), then such term, clause or provision shall be severable from these T&Cs without affecting the validity or enforceability of any remaining part of that term, clause or provision, or any other term, clause or provision of these T&Cs, which shall remain in full force and effect. 22.4 These T&Cs constitute the entire agreement between the Parties in relation to its subject matter. These T&Cs replace and extinguish any and all prior agreements, draft agreements, arrangements, warranties, statements, assurances, representations and undertakings of any nature made by, or on behalf of the Parties, whether oral or written, public or private, in relation to that subject matter. 22.5 You acknowledge that by accepting these T&Cs, you have not relied on any oral or written statements, warranties, assurances, representations or undertakings which were or may have been made by or on behalf of BUglab in relation to the subject matter of these T&Cs at any time before your acceptance of them ("Pre-Contractual Statements"), other than those set out in these T&Cs. You hereby waive any and all rights and remedies which might otherwise be available in relation to such Pre-Contractual Statements. 22.6 Nothing in these T&Cs shall be deemed to create any form of partnership, joint venture or any other similar relationship between you and Buglab and/or other individuals or entities involved with the development and deployment of the Smart Contract System and/or the Buglab Platform. 22.7 Subject to clause 20, these T&Cs and any dispute or claim arising out of or in connection with their subject matter or formation (including non-contractual disputes and claims) shall be governed by and construed in accordance with Gibraltar Law. 22.8 The Parties irrevocably agree that the Gibraltar courts shall have exclusive jurisdiction to settle any dispute or claim that arises out of or in connection with these T&Cs or their subject matter or formation (including non-contractual disputes and claims). BGL will be an essential utility for users of the Buglab Platform as they will enable interaction within the Buglab Platform and will act as the main driver of the Buglab ecosystem. BGL will effectively operate as an “in-app currency”, the sole purpose of which is to allow users to participate on the Buglab Platform. • to reward users for triaging of vulnerabilities and help build new partnerships. BGL do not have any functionality or utility outside the Buglab Platform. The functionality and utility of BGL will therefore be limited to interacting with users/content within the confines of a single platform. BGL are not intended to have any functionality or utility outside the Buglab Platform. The BGL will therefore be structured as a “closed system” insofar as the use of BGL is concerned. Whilst it is possible that a secondary market could develop for trading BGL, Buglab will not operate such secondary markets nor will it act as an exchange for BGL. To the extent a secondary market or exchange for trading BGL does develop, it would be run and operated wholly and independently of Buglab, the Token Sale and the Buglab Platform. PLEASE NOTE THAT WE ARE IN THE PROCESS OF UNDERTAKING A LEGAL AND REGULATORY ANALYSIS OF THE FUNCTIONALITY OF BGL. FOLLOWING THE CONCLUSION OF THIS ANALYSIS, WE MAY DECIDE TO AMEND THE INTENDED FUNCTIONALITY OF BGL IN ORDER TO ENSURE COMPLIANCE WITH ANY LEGAL OR REGULATORY REQUIREMENTS TO WHICH WE ARE SUBJECT. WE SHALL PUBLISH A NOTICE ON OUR WEBSITE OF ANY CHANGES THAT WE DECIDE TO MAKE TO THE FUNCTIONALITY OF BGL AND IT IS YOUR RESPONSIBILITY TO REGULARLY CHECK OUR WEBSITE FOR ANY SUCH NOTICES. ON THE CONCLUSION OF THIS ANALYSIS, WE WILL DECIDE WHETHER OR NOT TO CHANGE THE FUNCTIONALITY OF BGL. • 4,250,000 (four million two hundred and fifty thousand) BGL will be reserved for a Buglab transaction reserve. Any BGL which remain unsold following the conclusion of the Token Sale shall be burnt by Buglab. • 5% of the proceeds will be spent on legal and accounting. 1.Risk of software weaknesses: because BGL, the Smart Contract System and the Buglab Platform are based on the Ethereum protocol, any malfunction, breakdown or abandonment of the Ethereum protocol may have a material adverse effect on BGL, the Smart Contract System and/or the Buglab Platform. Moreover, advances in cryptography, or technical advances such as the development of quantum computing, could present risks to the BGL (including the utility of BGL for obtaining services), the Smart Contract System and/or the Buglab Platform, by rendering ineffective the cryptographic consensus mechanism that underpins the Ethereum protocol. The Smart Contract System concept, the underlying software application and software platform (i.e. the Ethereum blockchain) is still in an early development stage and unproven. There is no warranty or assurance that the process for creating BGL will be uninterrupted or error-free and there is an inherent risk that the software could contain defects, weaknesses, vulnerabilities, viruses or bugs causing, inter alia, the complete loss of contributions and/or BGL. 2. 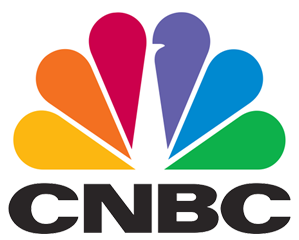 Regulatory risk: blockchain technology allows new forms of interaction and it is possible that certain jurisdictions will apply existing regulations on, or introduce new regulations addressing, blockchain technology based applications, which may be contrary to the current setup of the Smart Contract System and which may, inter alia, result in substantial modifications to the Smart Contract System and/or the Buglab Platform, including its termination and the loss of BGL for the Contributor. Additionally, regulation of proposed activities of the Buglab Platform is currently uncertain. It is not known what regulatory framework the proposed Buglab Platform and associated activities will be caught by, the nature and obligations that will be imposed on Buglab in order to comply with any such regulatory framework or when/if Buglab will even be able to apply to be regulated, or successfully obtain the necessary licences so that it may lawfully carry out its proposed business activities. 3. Risks associated with uncertain regulations and enforcement actions: the regulatory status of BGL and distributed ledger technology is unclear or unsettled in many jurisdictions. It is difficult to predict how or whether regulatory authorities may apply existing regulation with respect to such technology and its applications, including the Buglab Platform and BGL. It is likewise difficult to predict how or whether any legislative or regulatory authorities may implement changes to law and regulation affecting distributed ledger technology and its applications, including the Buglab Platform and BGL. Regulatory actions could negatively impact the Buglab Platform and BGL in various ways, including, for purposes of illustration only, through a determination that BGL are a regulated financial instrument that requires registration or licensing. Buglab may cease operations in a jurisdiction in the event that regulatory actions, or changes to law or regulation, make it illegal to operate in such jurisdiction, or commercially undesirable to obtain the necessary regulatory approval(s) to operate in such jurisdiction. 4. Risk of abandonment / lack of success: the creation and issue of BGL and the development of the Buglab Platform may be abandoned for a number of reasons, including lack of interest from the public, lack of funding, lack of commercial success or prospects (e.g. caused by competing projects). There is no assurance that, even if the Buglab Platform is partially or fully developed and launched, you will receive any benefits through BGL that you hold. 5.Risk associated with other applications: the Buglab Platform may give rise to other, alternative projects, promoted by unaffiliated third parties, under which BGL will have no intrinsic value. 6.Risks associated with markets for BGL: We not enable or otherwise facilitate any secondary trading or external valuation of BGL. This may restrict the contemplated avenues for using BGL, and could therefore create illiquidity risk with respect to any BGL Buglab you own. Even if secondary trading of BGL is facilitated by third-party exchanges, such exchanges may be relatively new and subject to little or no regulatory oversight, making them more susceptible to fraud or manipulation. Furthermore, to the extent that any third party ascribes an external exchange value to BGL (e.g. as denominated in a crypto or fiat currency), such value may be extremely volatile and diminish to zero. If you are purchasing BGL as a form of investment on a speculative basis or otherwise, or for a financial purpose, with the expectation or desire that their inherent, intrinsic or cash-equivalent value may increase with time, you assume all risks associated with such speculation or actions, and any errors associated therewith, and accept that BGL are not offered by Buglab or our affiliates on an investment basis. You further acknowledge that any contribution that you make under these T&Cs will not be protected, guaranteed or reimbursed by any governmental, regulatory or other entity, and will not, for instance be guaranteed by the Gibraltar Deposit Guarantee Scheme, the Gibraltar Investor Compensation Scheme, and is unlikely to be protected by any equivalent scheme in a jurisdiction outside of Gibraltar. 7.Risk of losing access to tokens due to loss of private key(s), custodial error or your error: BGL can only be accessed by using an Ethereum wallet with a combination of the Contributor's account information (address), private key and password. The private key is encrypted with a password. You acknowledge, understand and accept that if your private key or password gets lost or stolen, the obtained BGL associated with your Ethereum wallet address may be unrecoverable and permanently lost. Additionally, any third party that gains access to your private key, including by gaining access to the login credentials relating to your Ethereum wallet, may be able to misappropriate your BGL. Any errors or malfunctions caused by or otherwise related to the digital wallet or vault in which you choose to receive and store BGL, including your own failure to properly maintain or use such digital wallet or vault, may also result in the loss of your BGL. 8.Risk of theft: the Smart Contract System concept, the underlying software application and software platform (i.e. the Ethereum blockchain) may be exposed to attacks by hackers or other individuals including, but not limited to, malware attacks, denial of service attacks, consensus-based attacks, Sybil attacks, smurfing and spoofing. Any such successful attacks could result in theft or loss of contributions or BGL, adversely impacting the ability to develop the Buglab Platform and derive any usage or functionality from BGL. Furthermore, because the Buglab Platform is based on open-source software, there is a risk that a third party or a member of the Buglab team may intentionally or unintentionally introduce weaknesses or defects into the core infrastructure of the Buglab Platform, which could negatively affect the Buglab Platform and BGL. 9.Risk of Ethereum mining attacks: as with other cryptocurrencies, the blockchain used for the Smart Contract System is susceptible to mining attacks, including but not limited to double-spend attacks, majority mining power attacks, "selfish-mining" attacks, and rare condition attacks. Any successful attacks present a risk to the Smart Contract System, expected proper execution and sequencing of token transactions, and expected proper execution and sequencing of contract computations. You understand and accept that the network of miners will ultimately be in control of the delivery of the BGL via the Smart Contract System, and that a majority of miners could agree at any point to make changes, updates, modifications to, or effect a deletion or destruction of the Smart Contract System, and that such a scenario could lead to the BGL losing intrinsic value and/or functionality. 10.Risk of incompatible wallet service: the wallet or wallet service provider used to receive BGL must conform to the EIP20 token standard in order to be technically compatible with BGL. The failure to ensure such conformity may have the result that Contributor will not gain access to his BGL. 11.Risk of hard-fork: the Buglab Platform will need to go through substantial development works as part of which it may become the subject of significant conceptual, technical and commercial changes before release. As part of the development, an upgrade to BGL may be required (hard-fork of BGL) and that, if you decide not to participate in such upgrade, you may no longer be able to use your BGL and any non-upgraded BGL may lose its functionality in full. 12.Risk of uninsured losses: unlike bank accounts or accounts at some other financial institutions, BGL are uninsured unless you specifically obtain private insurance to insure them. Thus, in the event of loss or loss of utility value, there is no public insurer or private insurance arranged by us, to offer recourse to you. 13.Risks arising from taxation: the tax characterization of BGL is uncertain. You must seek your own tax advice in connection with acquisition, storage, transfer and use of BGL, which may result in adverse tax consequences to you, including, without limitation, withholding taxes, transfer taxes, value added taxes, income taxes and similar taxes, levies, duties or other charges and tax reporting requirements. 14.Risk of an unfavourable fluctuation of Ethereum and other currency value: Buglab intends to use the contributions received to fund the development of the Buglab Platform and various other operating expenses. The contributions received will be denominated in ETH, and may be converted into other cryptographic and fiat currencies. If the value of ETH or other currencies fluctuate unfavourably during or after the Contribution Period, Buglab may not be able to fund the development of, or may not be able to maintain, the Buglab Platform in the manner that it intended. 15.Risk of dissolution of the Company or network: it is possible that, due to any number of reasons, including, but not limited to, an unfavourable fluctuation in the value of ETH (or other cryptographic and fiat currencies), decrease in BGL utility due to negative adoption of the Buglab Platform, the failure of commercial relationships, or intellectual property ownership challenges, the Buglab Platform may no longer be viable to operate and Buglab may dissolve. 16.Risks arising from lack of governance rights: because BGL confer no governance rights of any kind with respect to the Buglab Platform or Buglab, all decisions involving the Buglab Platform or Buglab will be made by Buglab acting in its sole and absolute discretion, including, but not limited to, decisions to discontinue the Buglab Platform, to create and issue more BGL, or to sell or liquidate Buglab. These decisions could adversely affect the Buglab Platform and/or BGL you hold. 17.Risks arising from the publishing industry: the publishing industry, and by extension the Buglab Platform, are subject to a variety of federal, state and international laws and regulations, including those with respect to intellectual property, employment, KYC/AML and customer due diligence procedures, privacy and data protection, consumer protection, data security, and others. These laws and regulations, and the interpretation or application of these laws and regulations, could change. In addition, new laws or regulations affecting the Buglab Platform could be enacted, which could impact the utility of BGL in the Buglab Platform. Additionally, the Buglab Platform users are subject to or may be adversely affected by industry specific laws and regulations or licensing requirements. If any of these parties fail to comply with any such licensing requirements or other applicable laws or regulations, or if such laws and regulations or licensing requirements become more stringent or are otherwise extended, it could adversely impact the Buglab Platform and BGL, including its functionality to obtain or provide services within the Buglab Platform. 18.Risks associated with the development and maintenance of the Buglab Platform: the Buglab Platform is still under development and may undergo significant changes over time. Although we intend for BGL and Buglab Platform to function as described in Schedule 1, and intend to take commercially reasonable steps towards those ends, we may have to make changes to the specifications of the BGL or the Buglab Platform for any number of legitimate reasons. Moreover, we have no control over how other participants will use the Buglab Platform, what products or services will be offered through the Buglab Platform by third parties, or how third-party products and services will utilize BGL (if at all). This could create the risk that BGL or the Buglab Platform, as further developed and maintained, may not meet your expectations at the time of purchase. Furthermore, despite our good faith efforts to develop and participate in the Buglab Platform, it is still possible that the Buglab Platform will experience malfunctions or otherwise fail to be adequately developed or maintained, which may negatively impact the Buglab Platform and BGL, and the potential utility of the BGL, including the utility of the BGL for obtaining services and/or offering rewards and/or being used in the manner intended at the time of the Token Sale. 19.Risk of Competing Platforms: It is possible that alternative platforms could be established that utilize the same open source code and protocol underlying the Buglab Platform and attempt to facilitate services that are materially similar to the services offered by or within the Buglab Platform. 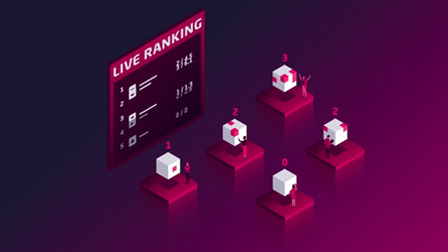 The Buglab Platform may compete with these alternatives, which could negatively impact the Buglab Platform and BGL, including the utility of the BGL for obtaining services offered by or within the Buglab Platform. 20.Unanticipated Risks: cryptographic tokens such as BGL are a new and untested technology. In addition to the risks set out in this Schedule 2, there are other risks associated with your acquisition, storage, transfer and use of BGL, including those that Buglab may not be able to anticipate. Such risks may further materialize as unanticipated variations or combinations of the risks set out in this Schedule 2.